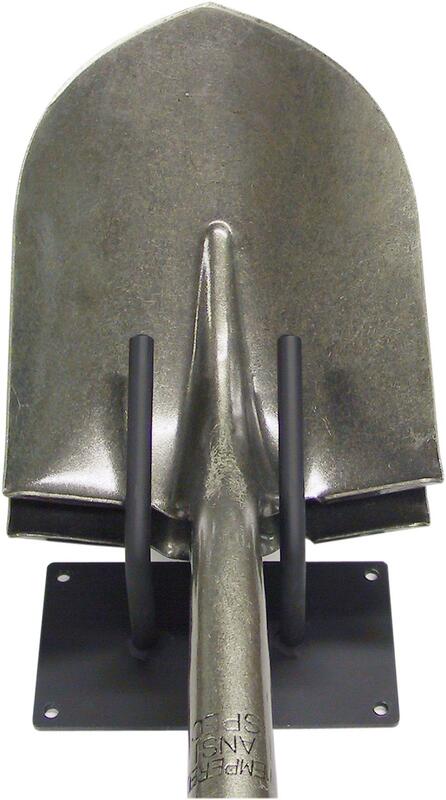 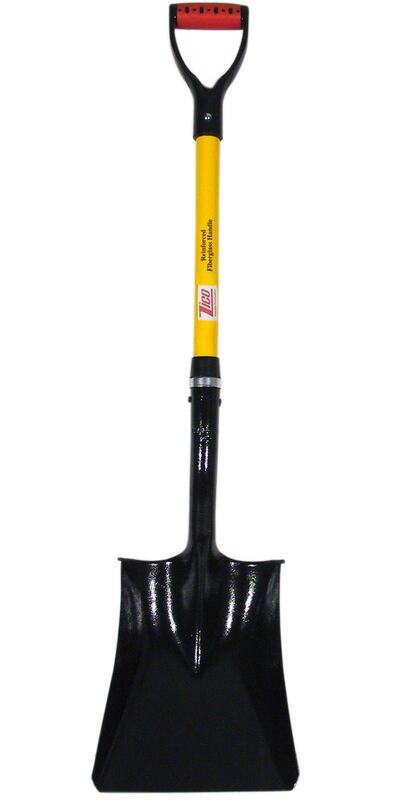 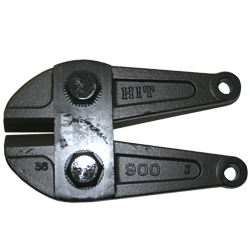 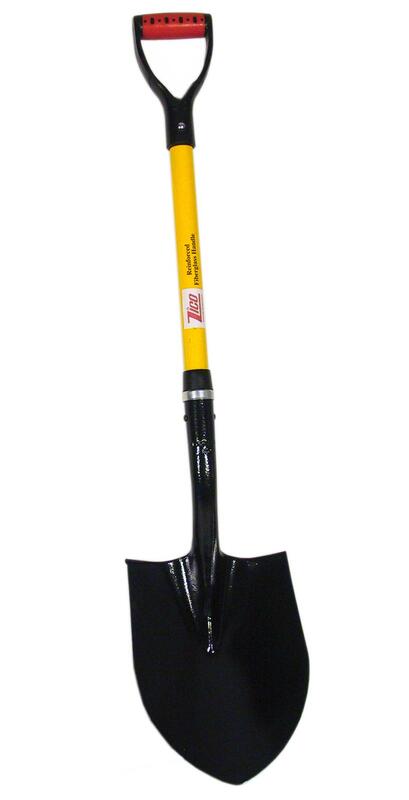 Square point shovels are #2 hollow back with 9-1/2″ x 11-1/2″ blades and a rolled step. 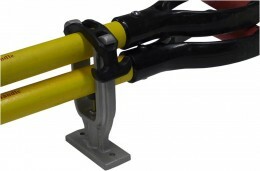 Heavy-duty fiberglass handles provide unsurpassed durability, comfort, and safety. 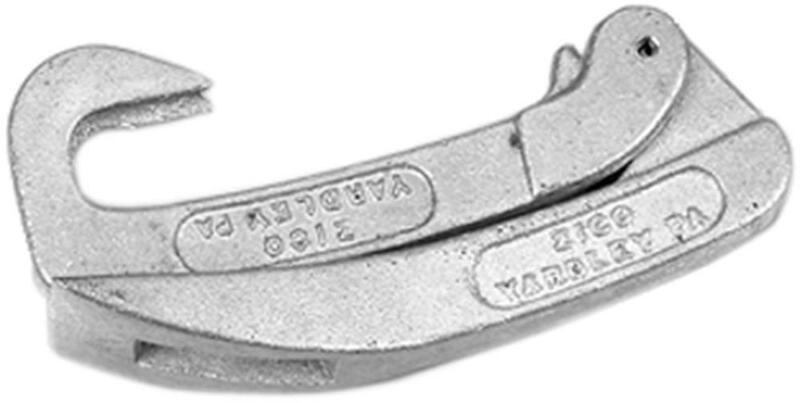 Heat-treated and tempered blades resist wear and breakage.